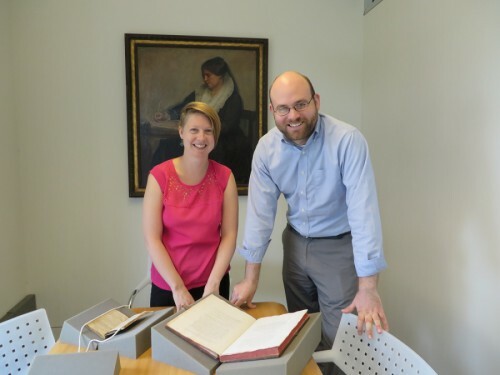 Last month, I was excited to meet with Mitch Fraas, PhD, Curator of Digital Research Services, and Katie Rawson, PhD, Bollinger Fellow in Library Innovation at the University of Pennsylvania. We met in the newly renovated Kislak Center for Special Collections, Rare Books and Manuscripts on the top floor of UPenn’s Van Pelt Library, where they displayed recipe-related collection highlights dating back to the 14th century. Katie Rawson and Mitch Fraas at UPenn. 3 September 2014. Please give us an overview of the scope of your collection of recipe books. Roughly how many do you have? What tips can you offer to help users find them via your catalog or finding aids? The Aresty Collection is also accompanied by the Ester B Aresty papers which document her life as cookbook collector and culinary historian. See the finding aid for more information. UPenn has quite a large collection of some very significant recipe books. Can you tell us about your history of collecting recipe books? What are some of the major collections you have, and why were these a collection priority? In the 1990s Lynne Farrington, the Curator of Printed Books in the Rare Book and Manuscript Library here, saw the potential in growing the collections around food studies. Over the last twenty years she helped bring in three major collections relating to cookery as well as many more individual acquisitions. These three large collections come from Chef Fritz Blank (who passed away last month), Laurie Burrows Grad, and Esther Aresty. Though related to food and cooking broadly, each has a particular strength. The Esther Aresty collection has a host of rare early printed books related to food, including one incunable. The Blank collection includes cookery pamphlets, community cookbooks, menus, and other items as well as manuscripts and printed cookbooks, some going back to the 18th century. The Grad collection documents the explosion of cookbooks in the late-20th century, many of which focus on diets, celebrity chefs, and international cuisine. Have you collected recipe books that fall outside of these significant collections? 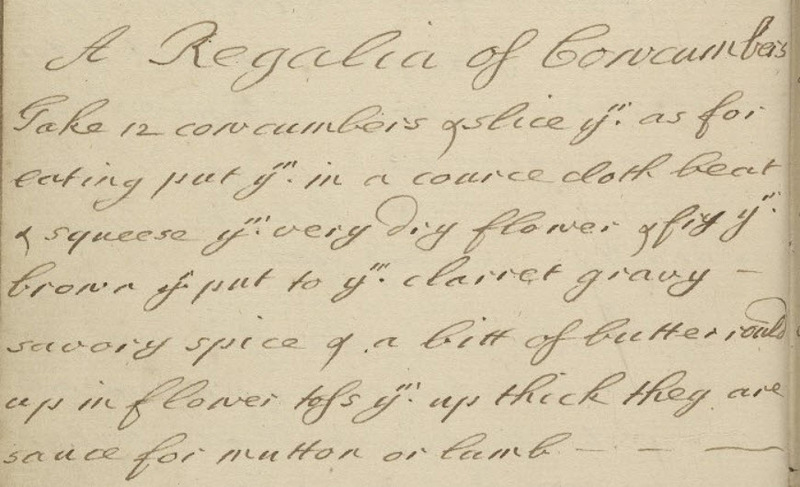 In addition to our named cookery collections, Penn has built a collection of manuscript recipe books over the years which record cooking practice at the level of the individual or family. The majority of these come from England and the United States and date from the 18th century to the mid-20th. Can you give us a few highlights from Penn’s collection? “Ms. 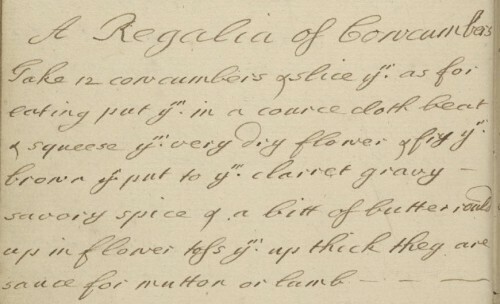 Codex 625 – Kidder, Edward – Receipts of pastry and cookery : for the use of his scholars” (pictured above) seems at first glance to be a printed book of recipes; however, the recipes in it are handwritten by a person who would have been enrolled in a cooking course in the 18th century. The New-England cookery, or, The art of dressing all kinds of flesh, fish, and vegetables, and the best modes of making pastes, puffs, pies, tarts, puddings, custards and preserves, and all kinds of cakes, from the imperial plumb to plain cake : particularly adapted to this part of our country, compiled by Lucy Emerson, is a wonderful exemplar of the regional cookery books in our collection, which give readers a sense of early American cuisine construction, through its recipes and front matter. 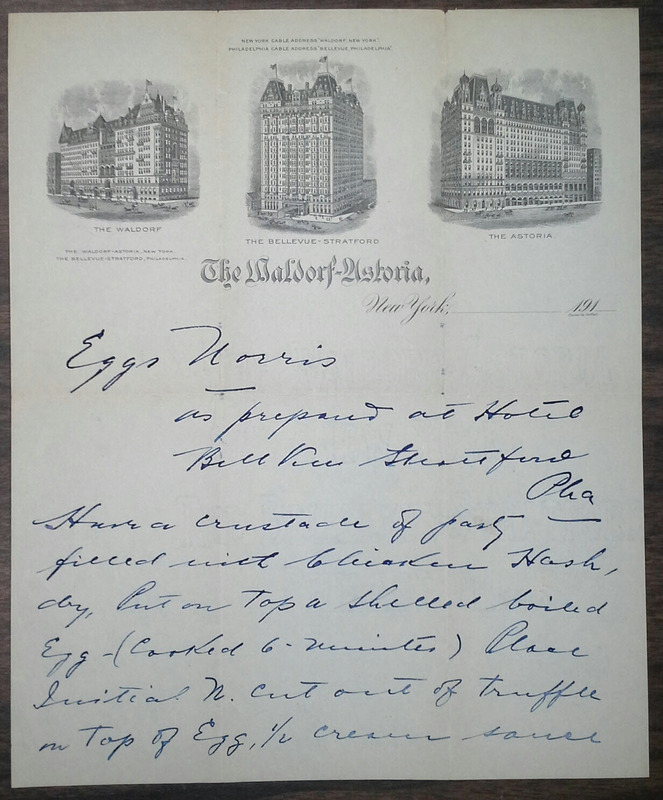 We also have recipes as parts of archival collections, including a cache of documents relating to the Waldorf Astoria in New York as well as its sister hotel in Philadelphia. Within the collection are notes, ingredient lists, menus, recipes and correspondence from the hotel restaurants and their chefs. Though it doesn’t include a recipe, we couldn’t resist showing off this sixteenth-century table setting regulations for the pricing and sale of bread. See the illustration of bread shapes above each loaf! Have your recipe books been digitized? Are there any digital exhibitions we should know about? We have digitized over 40 manuscript recipe books and we plan to digitize more, including printed cookbooks. We also have several older digital exhibits that explore our cookbook collections. From the Penn Culinary Collections page, users can find “A Chef and His Library: An Exhibition Selected from the collection of Fritz Blank” and “Household Words: Women Write from and for the Kitchen“, which explore two of our major culinary collections, including images of menus, pages, and other materials from the collections. While they were created in an earlier moment of web exhibits, the content in these pages, especially Janet Theophano’s discussions in “Household Words”, still offer helpful frameworks for exploring culinary collections. Do you know of any recent research or outreach projects featuring your recipe books that might interest readers of our blog? Our collections are being used in a few research projects right now. Lauren Klein, a food studies scholar at Georgia Tech, is using three of our digitized manuscripts for her students to research and create online exhibits. Penn graduate students Marissa Nicosia and Alyssa Connell have been cooking recipes from our early modern cookbooks and discussing modern and early modern culinary practice at Cooking in the Archive. 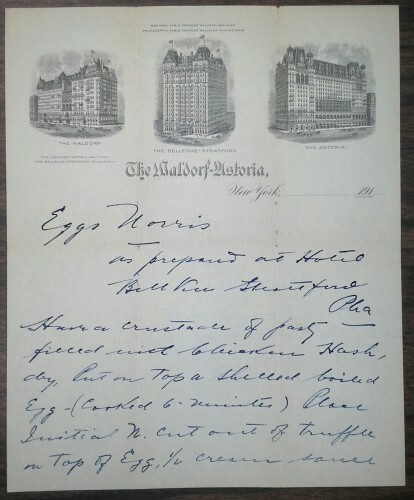 Bollinger Fellow Katie Rawson is working on a project that connects NYPL menus to their context, including a collection of business records and handwritten recipes from the Waldorf Astoria. In addition, the collection has seen use in the reading room from Penn and beyond. Thanks, Mitch and Katie, for chatting with me! If you’d like to visit the Kislak Center, please email them at rbml@pobox.upenn.edu. Visitors to the Van Pelt Library should consult the Visitor Information page to learn how to access the collections.